Motherhood and time sure do go hand-in-hand. One second we are wishing away certain (hard) stages and the next, we are devastated to see our babies grow up! Time is a tricky thief that seems to steal years away before my very eyes! Yet, in reality, only three years have passed since becoming a Mother. I truly have found joy in every stage my kiddos have went through in the short amount they have been here. Of course there are times I get frustrated and catch myself thinking about what it will be like when they can finally use the bathroom by themselves and express their feelings without grunts and moans… haha But, honestly I am just so thankful for the time I have been blessed with and I look forward to the many days ahead! What better way to keep track of time than in the most stylish, practical way possible… I absolutely love my Jord wood watch! It is a light wood tone in Fieldcrest Maple. 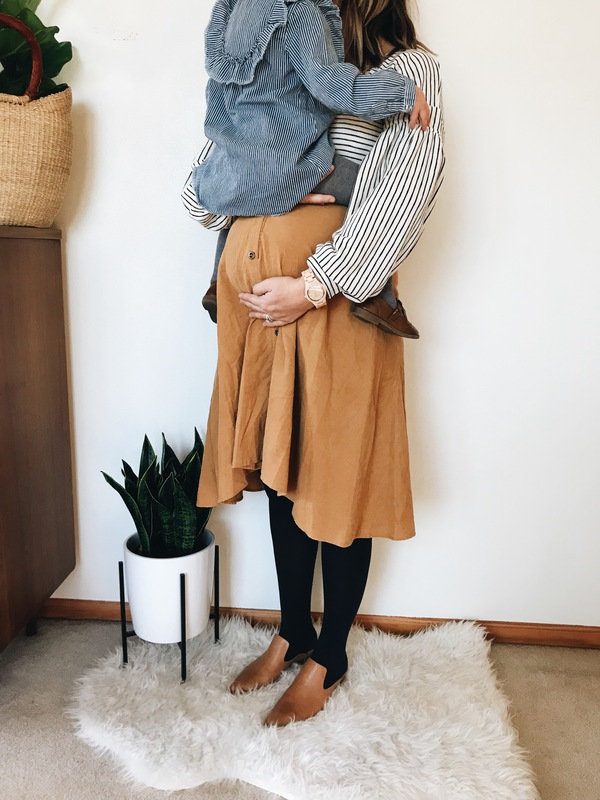 This watch is the perfect accent to my wardrobe and as a busy Mom of two plus one on the way, sometimes all it takes is a pretty watch to make my outfit feel complete without putting too much time and thought into it! I know during this season of Motherhood, I don’t always have the time to shop the isles of the department stores, seeking the perfect gifts. So what better way to prepare for that christmas list than to make it nice and simple. Follow this link to receive 25% off your purchase at Jord and make this Christmas timeless and one to remember! There is an awesome selection of men and women’s watches so everyone is covered! With the holidays quickly approaching and the new year in the horizon, I can’t help but feel so thankful for the time God has provided me as a Mommy to Lazar and Mila, with Leo arriving so soon! I plan to cherish the moments I have and not stress over the ones to come. Each moment is an opportunity to help our children grow and learn and that is certainly my goal! I’ll also be able to keep a close eye on that pesky time thief with my Jord watch always close by! HAVE FAITH MAMA(S)…don’t let time steal your moments or joy! Enjoy it and cherish it!